Indian Businesses Invested Over Rs. 97,000 Cr In US, Create 91,000 Jobs For Americans! In a report named, “Indian roots, American soil”, the Confederation of Indian Industry (CII) and Grand Thornton (GT) brought to life some of the very inspiring data about the progress of Indian companies in the US and the role of Indian FDI in the US. According to their report, the US still attracts the largest FDI across the globe, China is investing in US at the fastest pace, while India stands at the fourth fastest foreign investing country in the US. 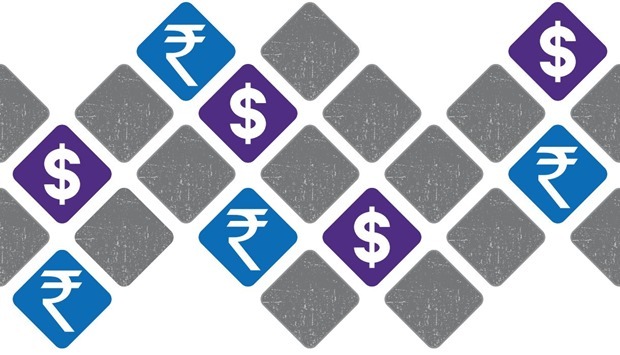 With 100 Indian American companies participating in the survey, they have invested a whopping $15.3 billion (Rs.97,139 crores) on tangible investment and have created more than 91,000 jobs helping to improve the US economy. The report points at the pivotal role these Indian companies are playing in job creation, acceleration of growth and exports in the US. Word has it that many of these Indian companies have aided the recession hit companies like Morton Grove. Wockhardt, a well-known pharma company in India, acquired Morton Grove for $37 million and preserved the existing 200 jobs that were to be terminated. 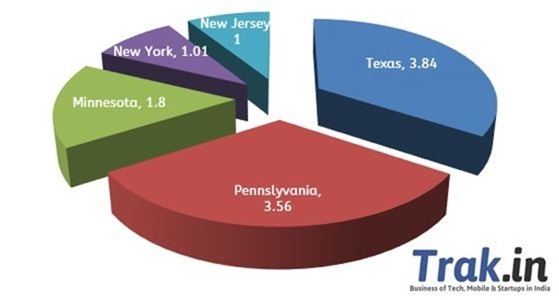 Texas received the highest Indian FDI with 3.84 billion followed by Pennsylvania, Minnesota, New York and New Jersey, while the highest concentration of Indian companies is seen in New Jersey, California, New York, Pennsylvania and Illinois. 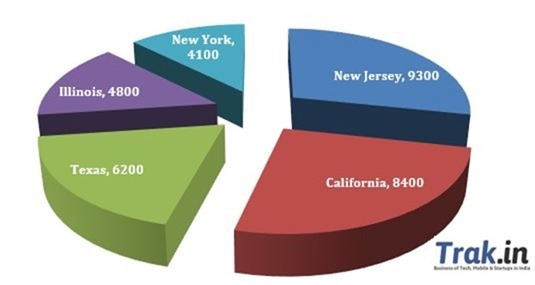 As we can see, in terms of investment, Texas leads the FDI with $3.84 billion and when it comes to total number of companies and jobs created, New Jersey leads the others with 36 Indian companies creating 9,278 jobs. The participating Indian companies include Bank of Baroda, Birlasoft, Cyient, Dr Reddy’s Laboratories, EsselPropack, Exim Bank, ICICI Bank, Infosys, ITC Infotech, Larsen & Tourbo, Mahindra USA, Mindteck, NIIT, Piramal Healthcare, State Bank of India, Sun Pharma, Taj Hotels and Resorts, TATA Communications, TATA Group, TATA Consultancy Services, Torrent Pharma, Wipro and Wockhardt. Surely, Indo-American ties are creating a positive impact not only in India but also in the US. These statistics are certainly awe-inspiring and to see fellow Indians capitalize their luck in the land of opportunities is calls for July fourth every day. Three cheers to the NRI business community there!